A new application to support Managers, Sporting Directors and other top-level executives in elite football has just been launched by The Sports Office. The Managers App gives immediate access to a highly relevant and tailored snapshot of key performance data and critical management information. This enhances decision making and communication at the top level. The new app functions by pulling through and streamlining real-time information from Sports Office performance management systems, already operating within an elite sporting organisation. “We believe it’s right to consider the new Managers App as a game-changing enhancement to the services we can offer our clients”, commented The Sports Office Director, Phil Clarke. 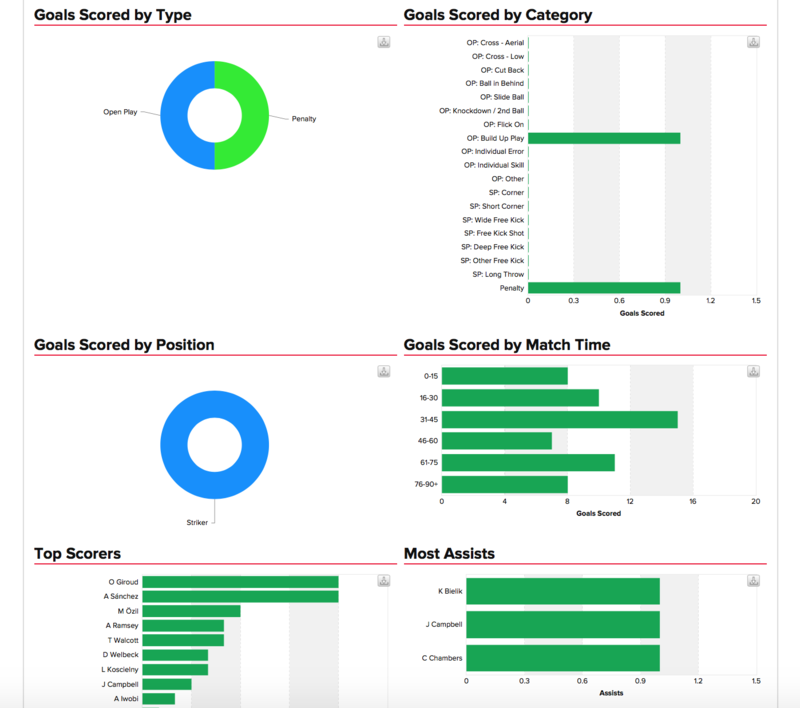 The Managers App – a snapshot of key performance data for Managers, Sporting Directors and other top-level executives in elite football. The bank-level security offered by all Sports Office athlete management systems also extends to the Managers App. Clubs and organisations using the app will have the option to ‘fine tune’ it to reflect their specific needs. Management information relating to sports medicine, recruitment and retention, budgets and finance, sports performance and even personal player milestones can be viewed. The Managers App also provides an instant messaging function and notepad which allows senior personnel to make private notes or tactical plans in a fast and trouble-free manner, while in different locations. The app is compatible with mobile devices and it is envisaged that clients will purchase licences for senior people to use it. This may include a Manager, a Sporting Director, an Academy manager, a Chief Executive and club owners. The Managers App gives Board members access to key management information. There are many scenarios in which the new Managers App can provide specific benefits to senior personnel in football clubs faced with demanding challenges. One such scenario is when senior management in different geographical locations, during a busy transfer window period, need to consult each other over the recruitment of a new player and have access to live budgetary information while doing this. The App can not only provide all relevant information and data but also facilitate fast and effective communication, so that the signing can be progressed efficiently. 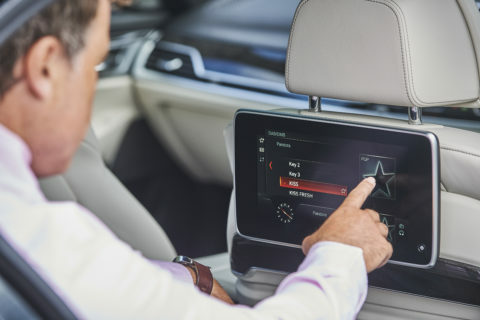 Another possible scenario could be when a fixture has taken place overseas and, because of the result , it is important to have remote access to an immediate update of performance data, new injury data or a revised preparation schedule. The Managers App – provides mobile access to key management and performance data. The Sports Office provides performance management applications to more than 100 professional football clubs, competing in the world’s most high-profile competitions, including the English Premier League and Italy’s Serie A. Several major national sports governing bodies have also chosen to adopt The Sports Office athlete monitoring systems. One of these is the Scottish FA, who use it throughout their structures, including for all their national teams and at all seven of their Performance Schools. Elsewhere in the world of elite sport, clients include the RFU, Aviva Premiership rugby clubs, the British Horseracing Authority, professional cycling teams and clubs in Rugby League’s Super League. To learn more about The Manager’s App please download this PDF brochure by clicking here and contact our Client Management Team. The Sports Office has supplied the England and Wales Cricket Board (ECB) with an elite cricket performance management system for use across several areas of its operations. The powerful system will be used to support the delivery of sports medicine, including injury surveillance and monitoring. This puts the ECB alongside other progressive governing bodies, including the RFU, which have focussed resources into areas relating to player welfare and optimising performance. The system enables large volumes of relevant data to be shared quickly and accurately between international team staff and those working at county level. The Sports Office have also developed a new feature within the elite cricket performance management system which allows ECB administrators to calculate and manage scheduled payments to counties, which are dependent on player appearances in targeted areas of the game. This has streamlined and improved the efficiency of a key process within cricket’s player development strategy. It also provides counties with an important income stream. “We are delighted to be working with the ECB”, said Neil Holland, Client Manager at The Sports Office. The Sports Office performance management system will also support the ECB to improve important aspects of player registration and team selection. Specifically, the registration element allows counties to search for new players within a central database and then request transfers. ECB officials are able to monitor and sanction this, in real time, which increases the speed and enhances the efficiency of a key process within the sport. The Sports Office supplies online performance management systems to many elite sporting organisations including professional football clubs, competing in the world’s most high-profile competitions. This image shows aspects of The Sports Office Athlete Management Systems. Manchester City and Chelsea FC are just two of these, in the Barclay’s Premier League. The Scottish FA have also chosen to use The Sports Office’s software throughout their structures, including for all their national teams and at all seven of their Performance Schools. Other clients from elite sport include the NHL Hockey franchises, NBA Basketball teams the RFU, Aviva Premiership clubs, clubs in Rugby League’s Super League, elite tennis and professional cycling teams. For more information about our systems please contact us. Coaching and fitness staff from Oxford United football club have explained how The Sports Office performance management system for elite soccer, ‘The Football Squad’, has supported their rise through the divisions in the last decade. In 2010, the Us returned to the Football League, following victory in the Conference play-off final. Since then they have reached the finals of the Football League Trophy (2016) and EFL Trophy (2017) in successive seasons and they were promoted to League 1 at the end of the 2015/16 Season. Also, at time of writing, the club are challenging strongly for a League One play-off place. And now Oxford United Performance Analyst Dan Cooper has revealed how ‘The Football Squad’ has helped the club in a number of key performance areas during this period, including analysis, sports medicine and scouting:“Since introducing The Football Squad in 2012, it has been a pivotal tool used within all departments to aid the development and progression of our staff and players alike. Oxford United have explained how they benefit from The Sports Office performance management system for elite soccer. Dan Cooper added:”In the area of sport science and the medical, players training loads, injury notes and testing/growth maturation data is all logged and stored within the platform, offering any of our staff within these departments the ability to access and view any of our player’s fitness data as and when they require it. “The recruitment element of The Football Squad is also used extensively within the academy, allowing us to track every player who we bring in for trial, sign or release. 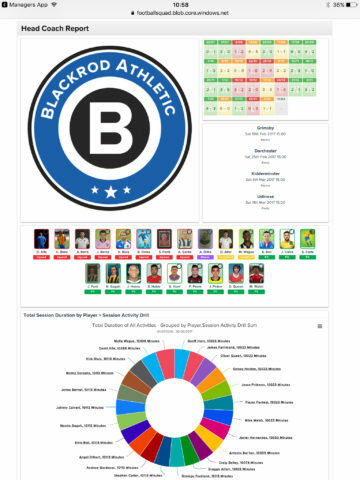 It also has a great tool which allows us to build future squads, which helps massively when it comes to planning and picking individuals for teams for future seasons. The Sports Office systems include extensive Football Analysis functionality. The Sports Office online performance management system for elite soccer supports practitioners involved at professional level. 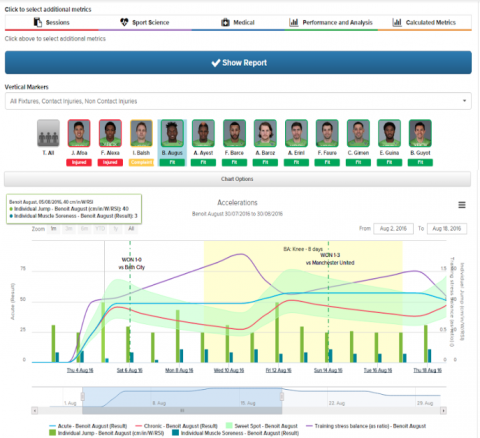 The system provides extensive functionality to support coaching, video-usage, sports science, sports medicine, scouting and recruitment, squad management and communication. It also allow the creation of truly personalised performance and development plans for players. The company works with more than 100 professional football clubs, competing in the world’s most high-profile competitions. Several major national governing bodies have also chosen to adopt The Sports Office. One of these is the Scottish FA, who use it throughout their structures, including for all their national teams and at all seven of their Performance Schools. Elsewhere in the world of elite sport, clients include the RFU, Aviva Premiership rugby clubs, leading equestrian organisations, professional tennis coaches, clubs in Rugby League’s Super League and professional cycling teams. 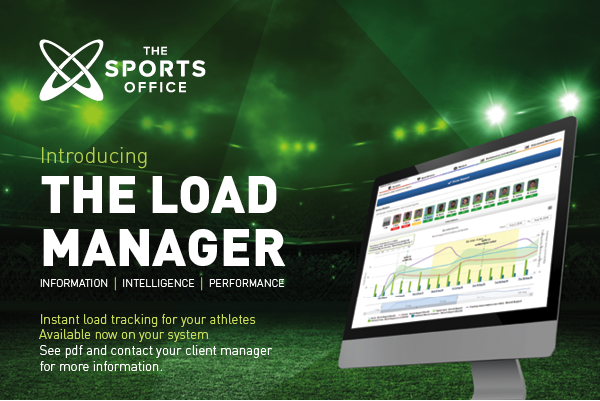 The new Sports Office load manager module is now available. All users have access to this functionality which offers live tracking of playing and training loads. The module dynamically brings together data held in the Preparation and Sports Science areas of the system. 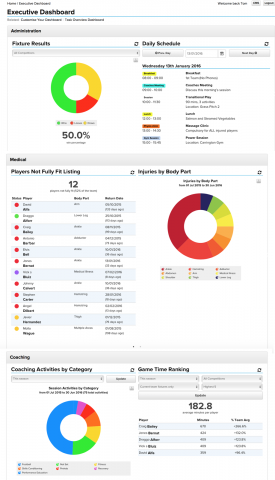 A player/athlete tracker also provides an array of user defined options for personalised monitoring, including the ability to see individual and team information. Also included is the capability to monitor both acute and chronic loads and to manage training stress balance. The load manager also offers a more visually engaging information display. It will create further improvements in the performance workflow via dedicated areas which show data for staff with specific roles. The Sports Office has achieved the internationally recognised ISO certification for both data security and quality management, when building its performance management systems for elite sport. 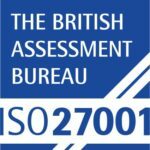 Both ISO 9001 and ISO 27001 have been awarded to the company by the British Assessment Bureau. The first certification shows the business delivers a consistent level of quality to customers, via well defined and regularly reviewed processes and procedures. The latter verifies that The Sports Office maintains both excellent physical IT security and also the highest possible standards of data protection. 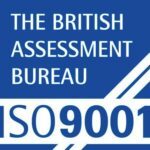 Craig Bailey, Development Director at The Sports Office said: “We are delighted to have achieved these ISO certifications, which clearly reflect our strong, ongoing commitment to this important aspect of our work. The Sports Office provides online performance management systems for elite sport, which offer a range of functionality. The systems support key performance processes including athlete monitoring and training load management, injury prevention, sports science, sports medicine, administration, coaching, scouting and sports analytics. 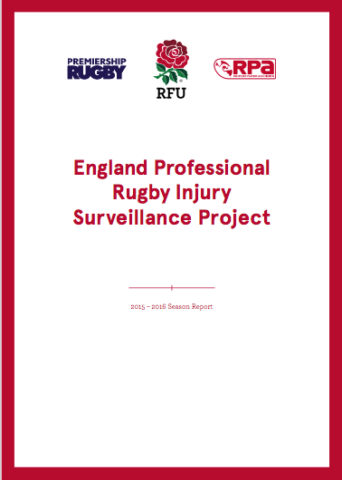 The Professional Rugby Injury Surveillance Project’s (PRISP) report for 2015-16 has recently been published. The long-term study is made possible by a bespoke performance management and monitoring system, developed for rugby authorities by The Sports Office. The study is intended to improve professional player welfare and is the most comprehensive of its type. The project was first commissioned in 2002 and was jointly created by the RFU, Premier Rugby and the Rugby Players Association. It monitors player injury risk in Premiership, European club and representative competition, as well as in training. The Sports Office worked with senior medical staff at the RFU to design and develop a powerful system which allows sports medicine and performance personnel at participating clubs and national teams to easily input an extensive range of medical and performance data. The system allows for this information to be shared immediately with coaches, directors of rugby and other key staff. The system also compiles the collected data to generate baselines, create comprehensive reports and identify patterns and trends of injuries via comparison with previous seasons. Speaking in a press release about the report, jointly issued by the RFU and Premier Rugby, RFU Chief Medical Officer Simon Kemp said: “This is an important study that helps us understand injury trends in the professional game in England. Since this surveillance project began in 2002 the injury rate has remained relatively stable however last season has shown a decline in match injuries; lower than any other season. Previously Simon Kemp has also praised The Sports Office’ work in the development of the performance management and monitoring system for the project. He said: “The Sports Office system provides a comprehensive electronic medical record with an integrated injury surveillance function. Among the key findings from the PRISP report for 2015-16 season were that the incidence of match injuries in the Premiership was lower than reported in any previous season. Data collection during the 2016-17 season will help clarify whether this is the start of a trend towards a lower overall injury incidence or an atypical year. A copy of the PRISP report for 2015-16 season and further details can be read on the Aviva Premiership Rugby website, here. The Sports Office provides online performance management systems for elite sport, which offer a range of functionality. The systems support key performance processes including athlete monitoring and training load management, injury prevention, sports science, sports medicine, administration, coaching and sports analytics. Among the company’s varied client base, are many elite rugby organisations. These include national governing bodies, teams in SANZAR’s Super Rugby competition, the Australian NRL and many clubs in the UK’s Rugby League Super League. 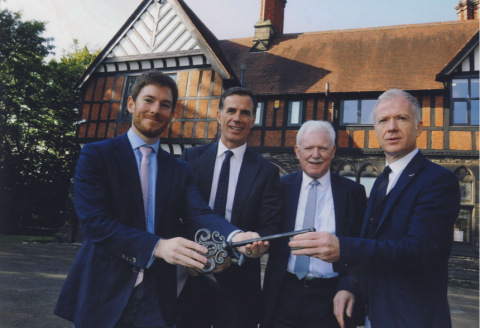 The Grade II listed Wigan Hall – the new HQ of The Sports Office – has been officially opened following the completion of an extensive refurbishment programme. Viscount Newport, a direct descendant of Orlando Bridgeman who ordered the building’s construction in 1875, was guest of honour at the ceremony. The Mayor of Wigan Councillor Ron Conway, the High Sheriff of Greater Manchester and Wigan Council leader Lord Peter Smith were also present. They were joined by Wigan Warriors and Football League Chairman Ian Lenagan. The Sports Office Director Andy Clarke said: “We’d like to thank Viscount Newport, the representatives of Wigan Council and everybody who attended our opening. The event was a great success and we’re proud to showcase Wigan Hall as an historic building, which is now also a modern workplace. Pictured – Viscount Newport, Phil and Andy Clarke from The Sports Office with Wigan Warriors and EFL Chairman Ian Lenagan, at the grand opening of Wigan Hall. And Clarke added:”The Sports Office has experienced tremendous growth in recent years; we work with high-profile clients throughout the world of elite sport. This expansion means we are always seeking to recruit those with degree level qualifications in the areas of IT and coding. The Sports Office purchased Wigan Hall from the Diocese of Liverpool. The building was designed in the ‘Arts and Crafts’ style by celebrated architect George Street, whose work included the Royal Courts of Justice. The restoration to convert the Hall’s interior to a modern workplace began in December 2014 and is now fully complete. Throughout the process, the project team, Oakland Developments ensured their work did not damage or detract from the building’s historical significance and consulted regularly with heritage organisations. Wigan Hall is now home to 30 members of The Sports Office team. This includes the coding and testing teams as well as the client management and administration departments. The Hall has previously served as the home of a wealthy Wigan family and was also the official residence of the parish church rector. Its restoration allows passers by to enjoy the building and landscape. It had previously been obscured by overgrown trees. Swiss windows, believed to date back to 1550, have been also restored and preserved inside the Hall. A new study by one of the world’s largest sports federations has underlined that effective load management is critical to injury prevention for elite performers. The extensive monitoring and measurement recommended in the study can be readily implemented, via the dedicated module within Sports Office performance management systems. World Rugby, which works with 120 member Unions and oversees 6.7 million players worldwide, commissioned the study. It examined the management of game and training load for elite players and was recently published in the British Journal of Sports Medicine. The study examined “loads (activity levels) encountered by professional rugby players” in order to “better understand the impact on physical and mental health, with the objective of determining potential recommendations for injury prevention.” Findings from the study have been released to increase awareness of injury-prevention throughout the game. The Sports Office load management module is capable of generating a range of detailed reports. “Having reviewed the World Rugby study, we believe the load management module within our performance management systems is the perfect fit for any elite rugby organisation seeking to implement these recommendations or any elite sports organisation seeking to use a similar approach to injury prevention and performance optimisation.”, commented The Sports Office Managing Director Phil Clarke. The Sports Office “load management” module dynamically brings together data held in the Preparation and Sports Science areas of the system. 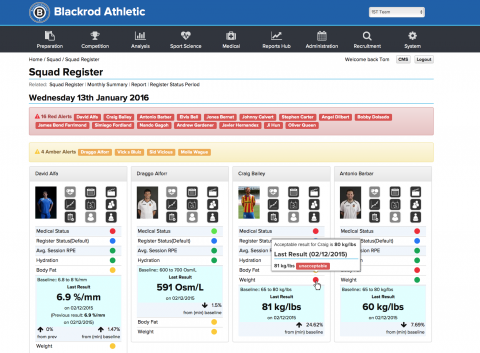 A player/athlete tracker is also at the heart of the load management functionality. This provides an array of user defined options for personalised monitoring, including the ability to see individual and team information. Also included is the capability to monitor both acute and chronic loads and to manage training stress balance. The module – which also offers a more visually engaging overview of information – will create further improvements in the performance workflow via dedicated areas which display data for staff with specific roles. 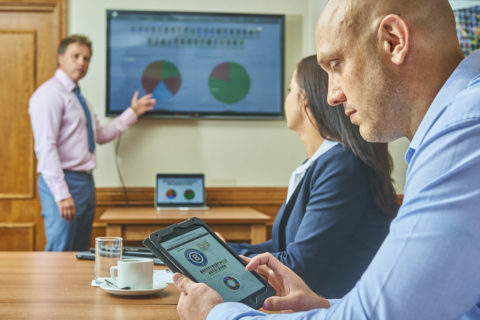 The ability of The Sports Office online performance management systems to offer instant access to accurate reports, based on load management readings, are also central to the module as is the capability to send “alerts” to staff opting to receive them. You can read more about the development of The Sports Office “load management” module here. Full details of the World Rugby study ‘Managing player load in professional rugby union: a review of current knowledge and practices’,can be found here. Super League club Warrington Wolves has praised The Sports Office’ rugby platform, The Rugby Squad. The Wolves use the system across their entire rugby operations, including first team and scholarship players. The club consistently competes for major honours. and recently appeared in the Challenge Cup Final at Wembley, with a squad featuring 14 home-grown players. And now a senior member of Warrington’s team management and coaching staff – who is a former Super League player and Ireland international – has underlined the Rugby Squad’s benefits. “The Rugby Squad is a powerful tool which delivers great benefits to our organisation, across many key areas”, said Head of Rugby Operations, Karl Fitzpatrick. The Rugby Squad supports many members of the Wolves backroom staff. This includes coaches as well as staff involved in strength and conditioning, sports science, sports medicine, performance analysis and youth development. The system is also used by operations and administration teams and club commercial staff. The Sports Office provides Performance Management Software for many elite sporting organisations. The system allows staff to quickly and efficiently arrange all team activities, collate all data, monitor and analyse that data and thus allow evidence based decision making on vital performance issues. Reports and information generated within the system are also provided directly to the club’s Board on a regular basis. Among the company’s varied client base, are many elite rugby organisations. These include teams in SANZAR’s Super Rugby competition, the Australian NRL and many other Rugby League Super League clubs. The Sports Office has teamed up with leading medical imaging and clinical data company Sybermedica to enhance sports medicine functionality within our performance management systems. Sybermedica and The Sports Office have agreed a ground-breaking arrangement to link each companies cloud-based sports performance management systems. Sybermedica’s ‘PACSMail’ network is already widely used for diagnostic image sharing and The Sports Office ‘Squad’ platform is used by elite teams, governing bodies and federations in all parts of the sporting world. Recognising the need for an integrated approach to sports medical management and performance information management, the two companies will now work together to provide multi-disciplinary teams of high-performance sports professionals with seamless browser-based access, to both performance and diagnostic information. 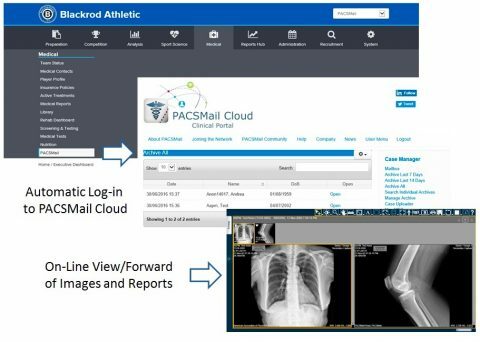 ‘PACSMail’ – used for sharing medical diagnostic images – is now integrated into The Sports Office performance management systems for elite sport. Sybermedica’s CEO, Stephen Gatley and Sports Office MD Andy Clarke commented in a joint statement. They said:“The huge pressure to deliver results has led to elite sport becoming a leader in the use of IT to support the work of multi-site, multi-disciplinary teams of medical and performance professionals. PACSMail is a secure medical data communications network enabling sports medicine practitioners and, more broadly, other clinicians to collaborate online. It is used in the delivery of a range of ‘virtual’ clinical services, allowing those with hands-on responsibility for patient care to gain remote access to the expertise of clinical colleagues.